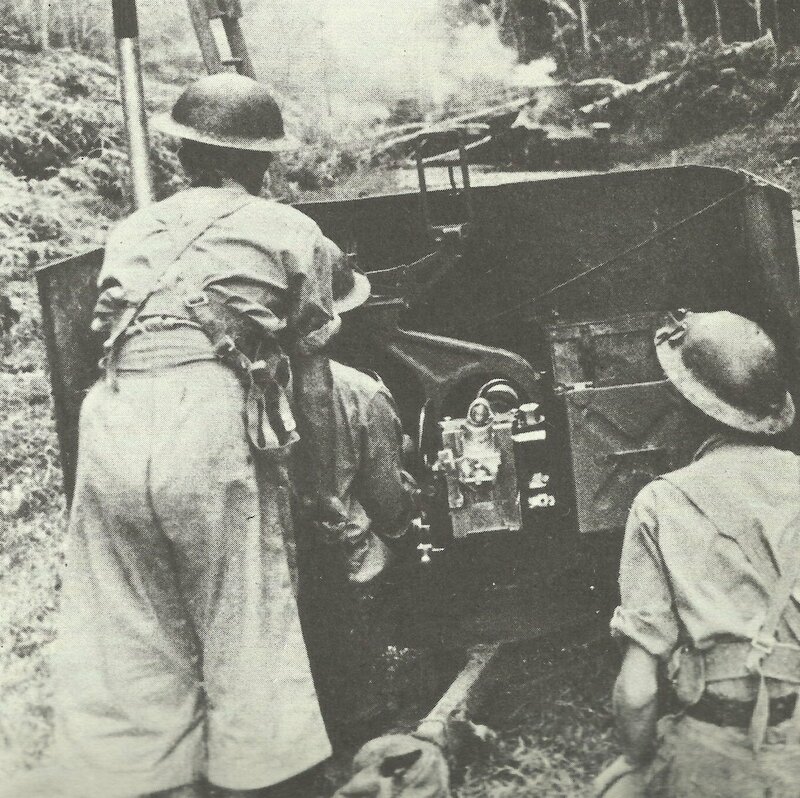 Australian anti-tank gun in the battle in front of Singapore. Malaya: Japanese within 97 km of Singapore. Pacific: Japanese troops land at Rabaul on New Britain. The small Australian garrison overwhelmed after gallant stand. Battle of Makassar Strait: Dutch Martin bombers, submarine K-XVIII and 4 US destroyers attack Japanese fleet off blazing oil fields of Balikpapan (Borneo), sinking 4 transports; K-XVIII damaged (January 23-24). Atlantic: Spanish SS Navemar sunk by Italian submarine Barbarigo off Azores. Central sector: Russians break through north of Smolensk.